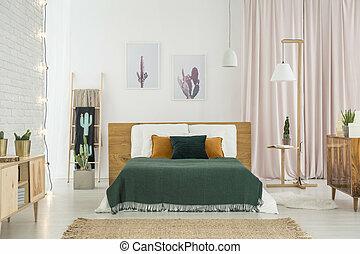 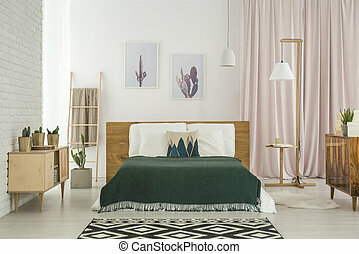 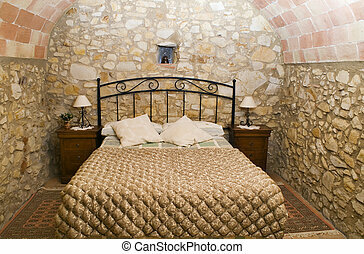 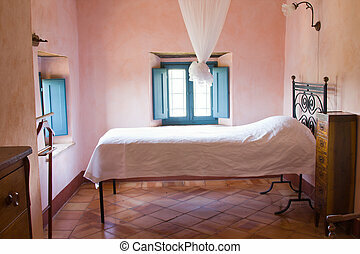 Rustic bedroom. 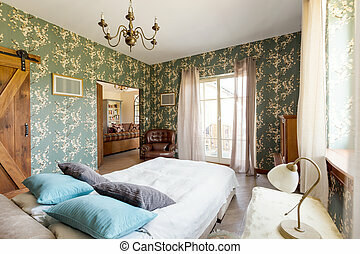 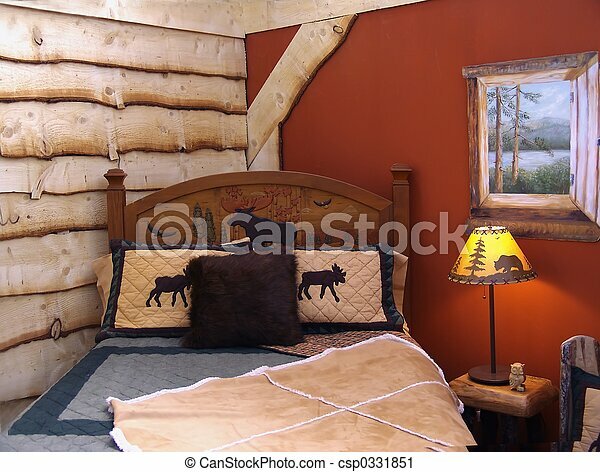 Country style bedroom. 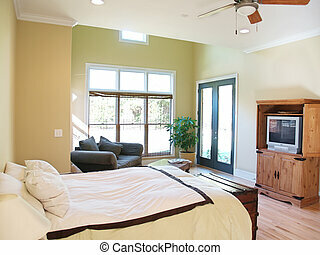 A brightly lit rustic bedroom in a modern american home with a television, loveseat, trunk, and large windows overlooking the yard. 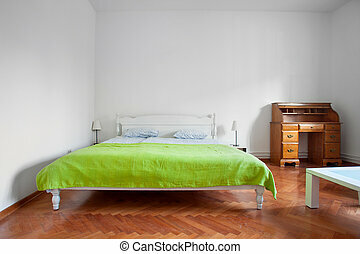 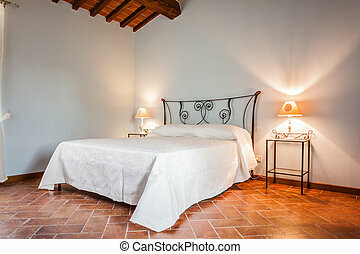 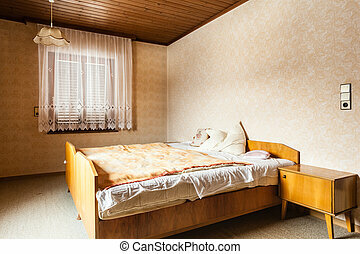 Rustic bedroom with parquet flooring. 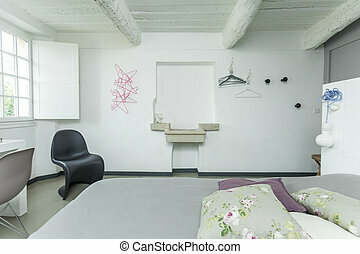 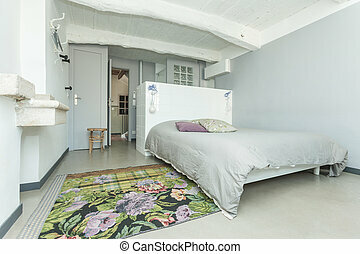 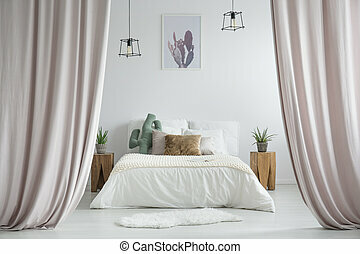 Interior of the white rustic bedroom. 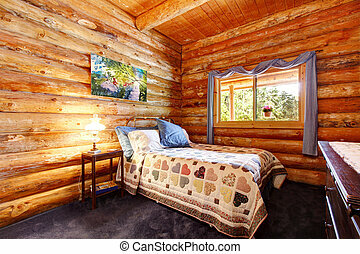 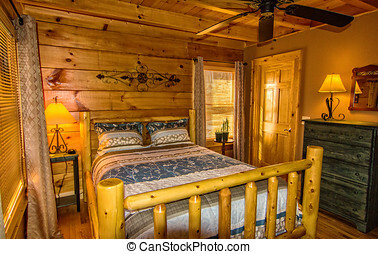 Log cabin rustic bedroom with blue curtains and large logs. 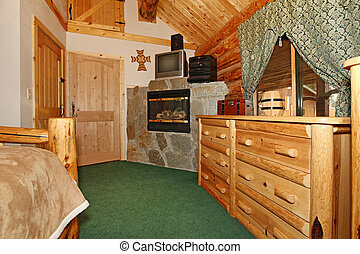 Rustic bedroom with fireplace, TV and light wood color.